If you’re after a taste of New York style pizza (i.e. a gargantuan 18” pan slice), Tommy Millions is your go to. Located in the pedestrian strip of Courtenay Place and Taranaki Street, the crew here are committed to serving up the goods both day and night. It seems that simplicity usually wins when it comes to pizza, and Tommy Millions sure plays by these rules. With slices sitting around $5 each, these pizza aficionados use thin bases, make a great sauce, use just the right amount of toppings and only add sprinkle of cheese rather than creating a melted mess. Nice one. 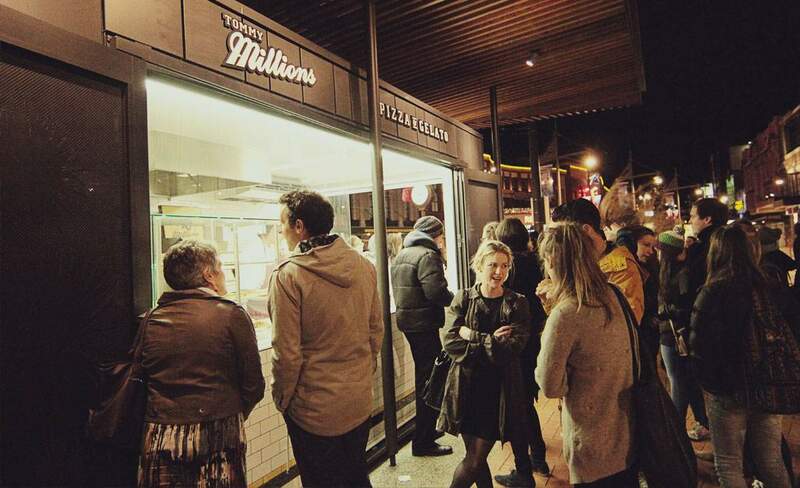 Tommy Millions also features a gelato bar with a raft of flavours. Gelato law states that when in doubt, pick salted caramel; but the staff here are usually pretty chilled about handing out samples. Trying out our sweet tooth on a few tasty options we came across 'Ambrosia', which was basically like a brandy Christmas pudding in a gelato. Big fans.